On April 11, 1945, the Buchenwald concentration camp was liberated by American forces. Pictured are survivors from Buchenwald at the Haifa Port on the way to the Atlit Detention Camp (July, 1945). 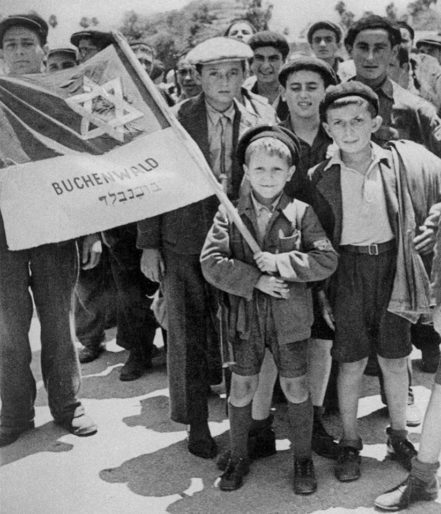 The little boy holding the flag is Rabbi Israel Meir Lau, former Chief Rabbi of Israel! 🇮🇱At 8 years old, Lau was one of the youngest survivors of Buchenwald. His brother Naphtali (on the left) looked after him throughout the war and together they made it to Israel. PREVIOUS POST Previous post: If only..